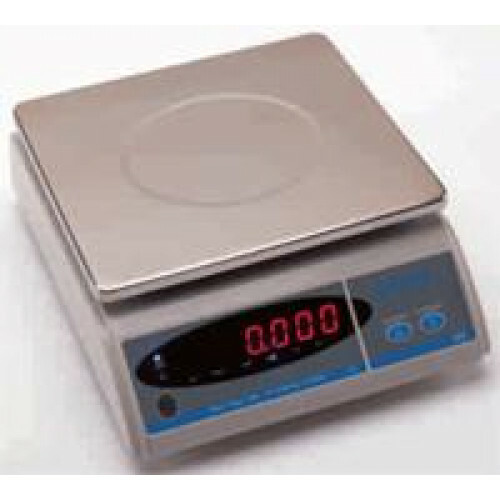 The Salter 405 low cost, Battery or mains powered, electronic bench scale available in 6kg or 15kg capacities. The model 405 is ideal for any application where accurate weighing is required. The large stainless steel weigh plate and bright red LED display are features normally only found on machines which are much more expensive. Internal rechargeable battery giving 160 hours use makes the machine totally portable or the 405 can be mains powered via the adaptor supplied. Simple two button keyboard - on / off / zero and tare / units. The model Salter 405 can display in kgs, grams, ounces, pounds and ounces and decimal pounds.